A beachy treat that is so unique, and Ice cream cone towel favor. From Cassiani's exclusive Sweet treat collection towel cake favors, everyone enjoys a sweet treat of Ice cream and we have a favor they will appreciate as well. 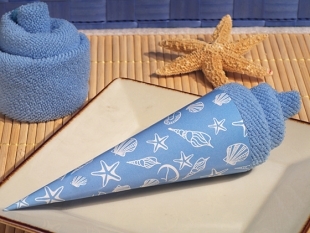 Each uniquely designed ice cream favor has a swirling blue cotton towel that resembles ice cream and is tucked into an blue beach themed paper cone. 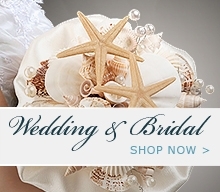 They come wrapped in clear cello bag and have a matching satin ribbon with a beach themed thank you tag. Each towel measures approximately 8" x 8" square.